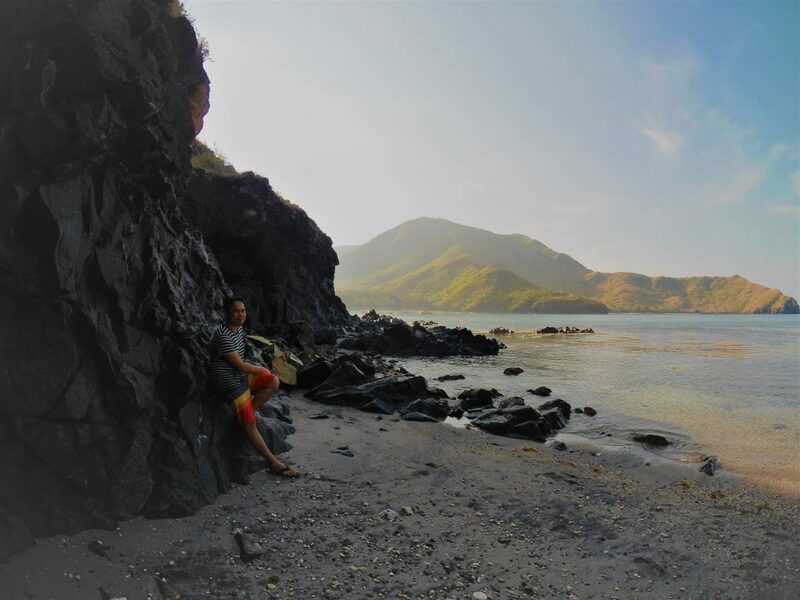 This article will show you an ultimate 2 days and 1 night (2D/1N) travel and budget guide on how to prepare for an affordable trip to Anawangin Cove. 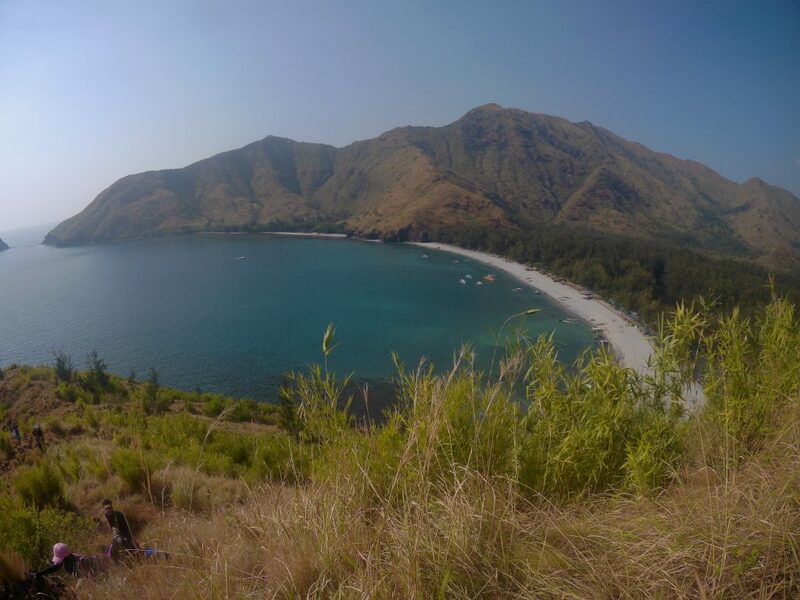 Let’s go explore Anawangin Cove in Zambales, Central Luzon! 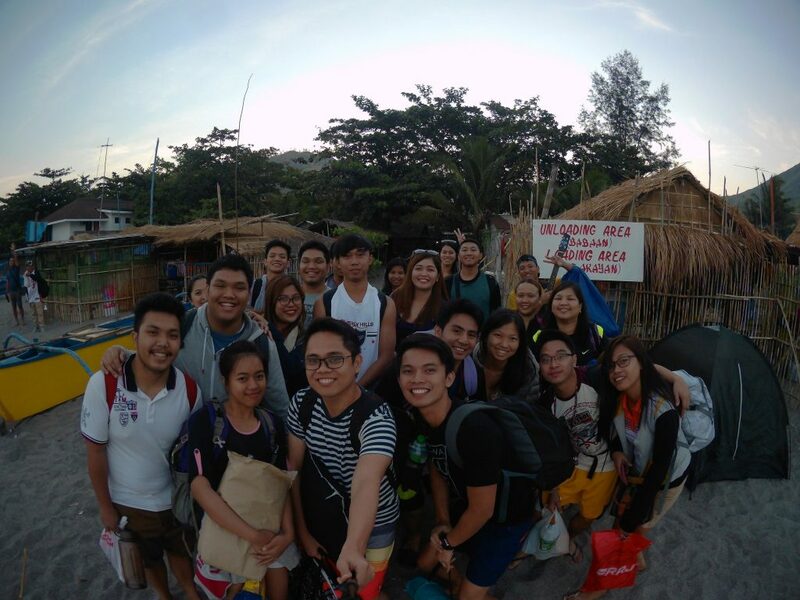 This trip to Anawangin Cove is actually a summer trip of our company. This is the way we chose to spend the money we got as a prize during the Christmas Party and Valentine’s party event. We are both very proud as we greatly contributed to these events and also, we needed this timely break. Been gone out to the pines and then, camp! 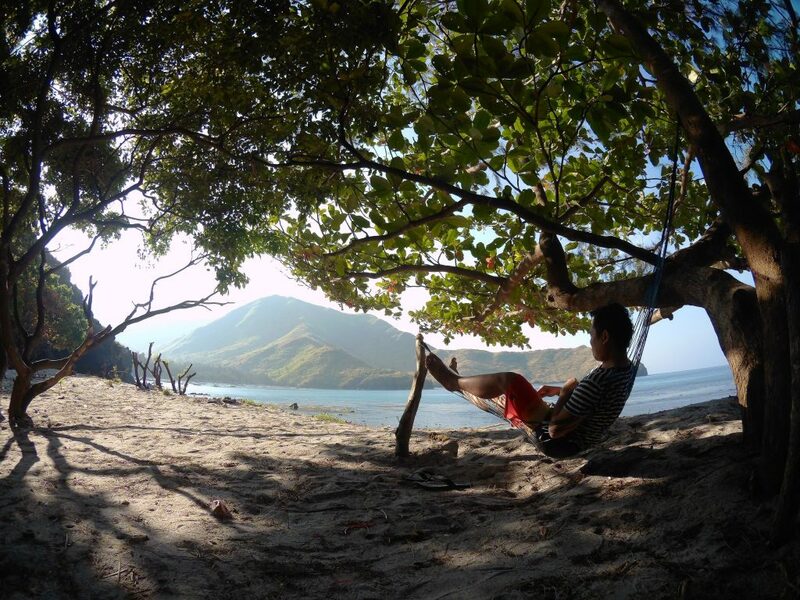 Anawangin Cove is the most accessible and famous cove out of the four here in Zambales. This is due to its close proximity to Pundaquit. 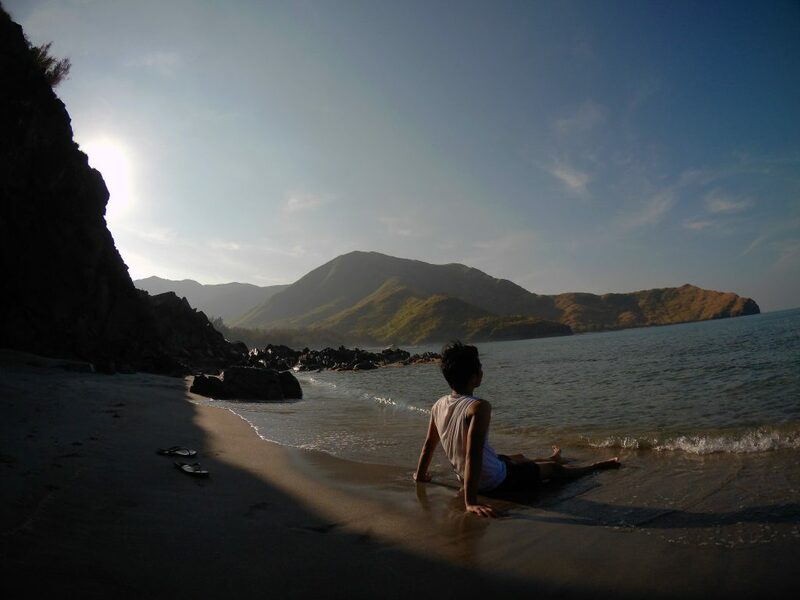 So, this is usually the cheapest option compared to Nagsasa Cove, for example. We arrived at Pundaquit around 4am. Unfortunately, we are too early for the boat to sail. So we waited a bit more for the sun to shine. 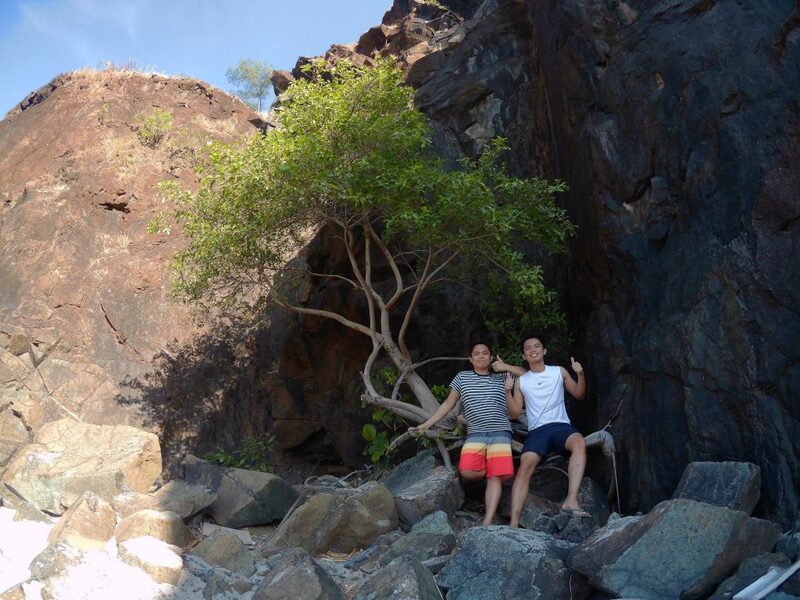 At 6am, we found ourselves stepping on a rocky and deep shore. Our boat docked to Camara Island as a side trip! Groupies and selfies here and there, camera clicks seemed endless. Camara Island at a distance. What we saw in Camara. The rock formations are so great. It seems like the whole area is untouched! I am a bit disappointed though because we only spend around half an hour here as we need to arrive early in Anawangin to secure a good campsite. 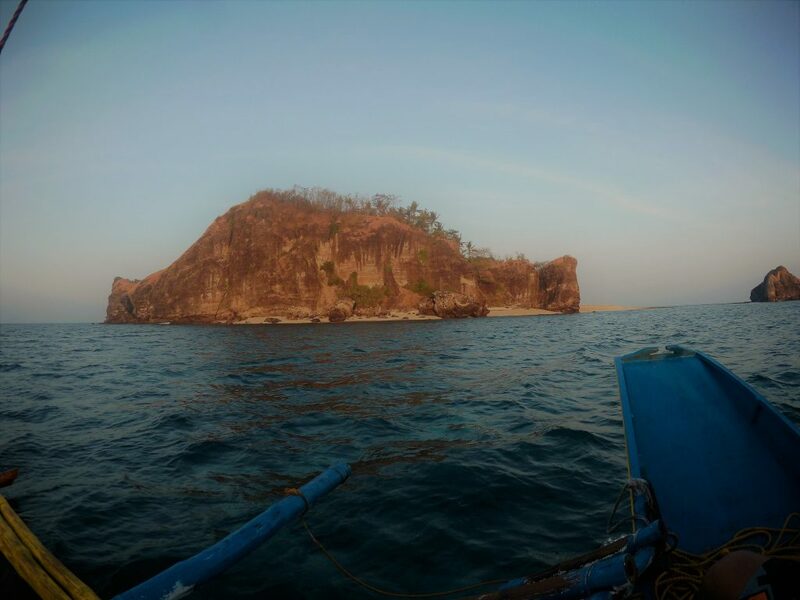 We arrived in Anawangin Cove by around 8am. We thought we are qualified as early birds but there are already many campers in the area! What? Later I have known that the place is indeed an all-year round choice of many individuals as it is a nearby get-away for those who seek an easy and quick time-off from work. 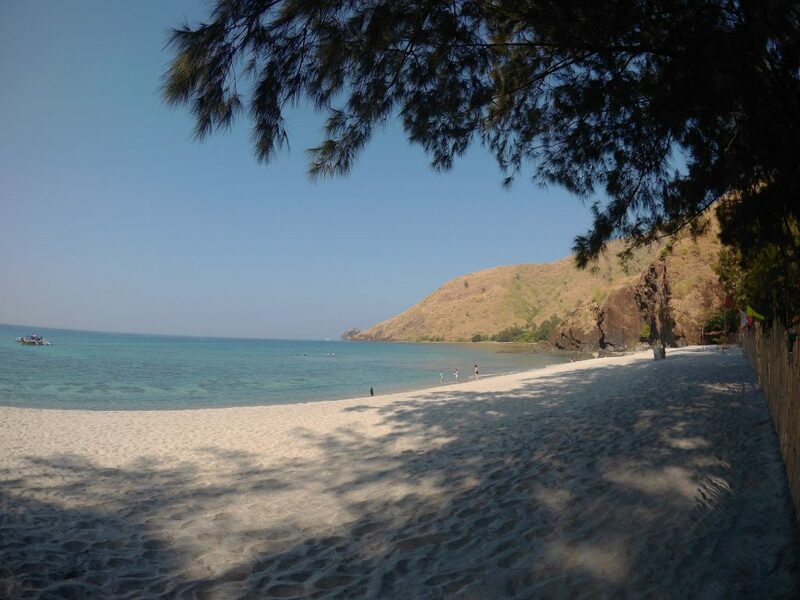 Agoho/Pine trees covering Anawangin Cove’s camp area. 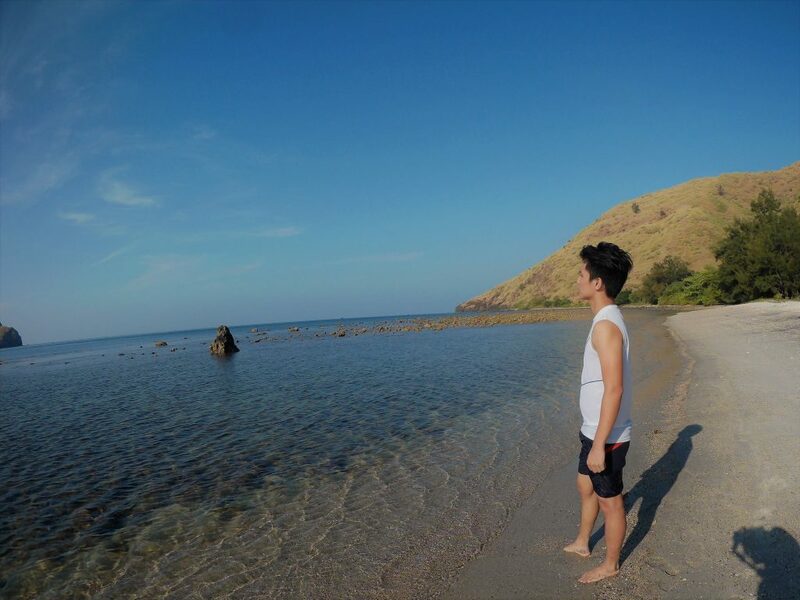 The place is really beautiful, coming from a person that it is his first time visiting a cove. This is an evidence that nature really works in mysterious ways.. 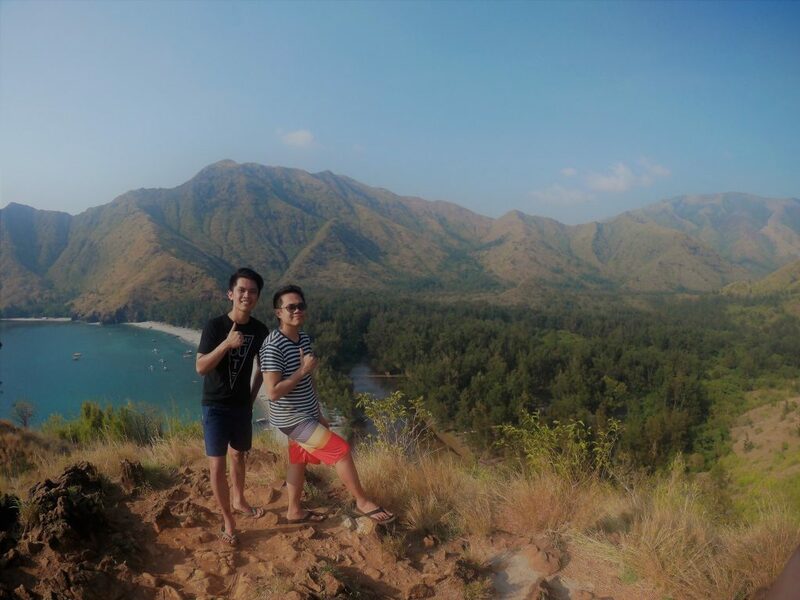 This crescent shape cove, together with the other three were made this beautiful after the eruption of Mt. Pinatubo in the year 1991. Tons of mixture of volcanic ashes and sand were dumped in the area, covering the coast that once is just rocky and greatly not ideal to be called a beach. But, after years, this devastating phenomena turned it to a stunning and alluring place. 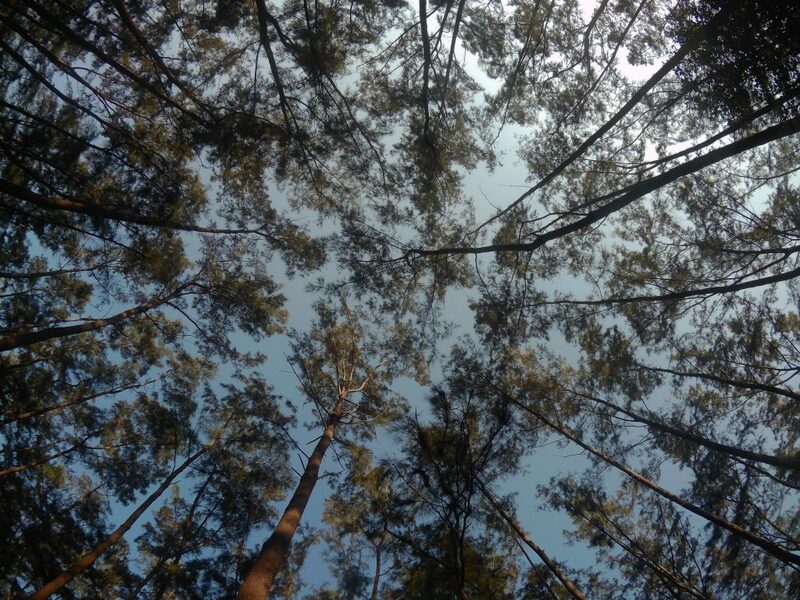 The campsite is covered with hundreds (or thousands) of pine trees. This will give you the impression that you are truly camping in a forest. On a further walk, a bizarre landscape will welcome you that appears to me as a dried river full of rocks. 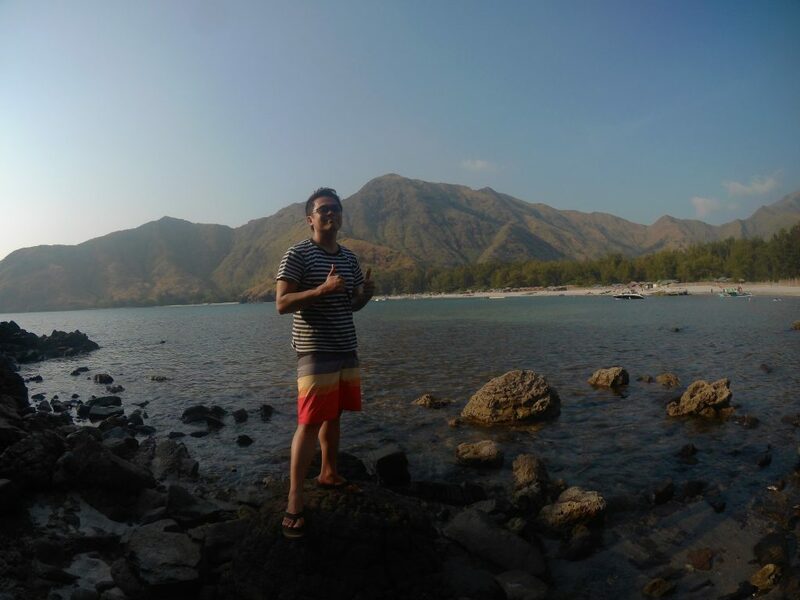 For once, I thought I am not in Zambales or Philippines anymore. By an extent, the whole area was already touristy, as evident that each agency has its own dedicated camp site, even the divisions were clearly separated by bamboo fences. You can’t just go here then pinch a tent, can you? Actually, you can but you need to pay the prescribed camp/entrance fees. Having that rates, I think the P888 we paid is very reasonable, it is also inclusive of three full meals. Do also note that the rates above may change anytime. If you want to have bonfire, there is additional fee for the materials. But don’t take it! Just harvest scraps and dried materials in the forest like we did. You will save a lot! Haha. This is the place I am talking about. 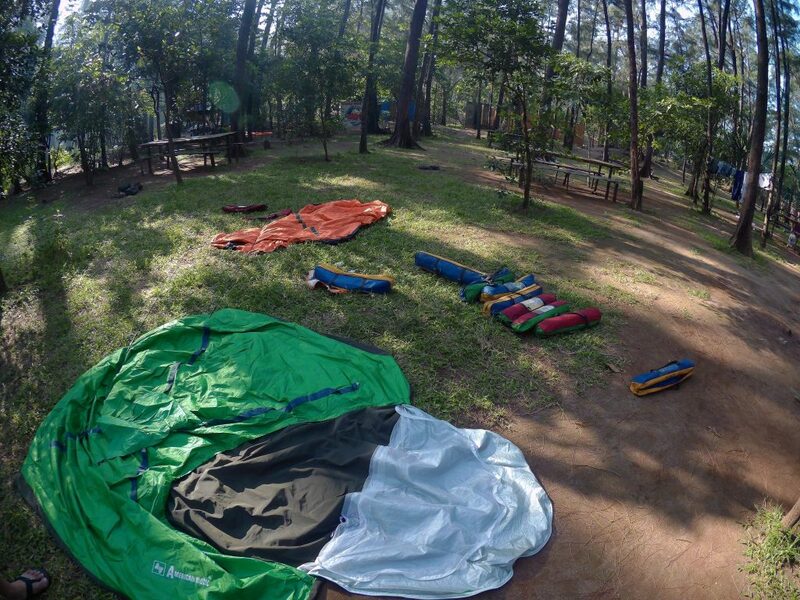 There are already shower and comfort rooms with strong water supply in our campsite. That’s a big plus for us that are not used to camp. Sonny brought a tent for both of us to use, although the agency still provided one, too. 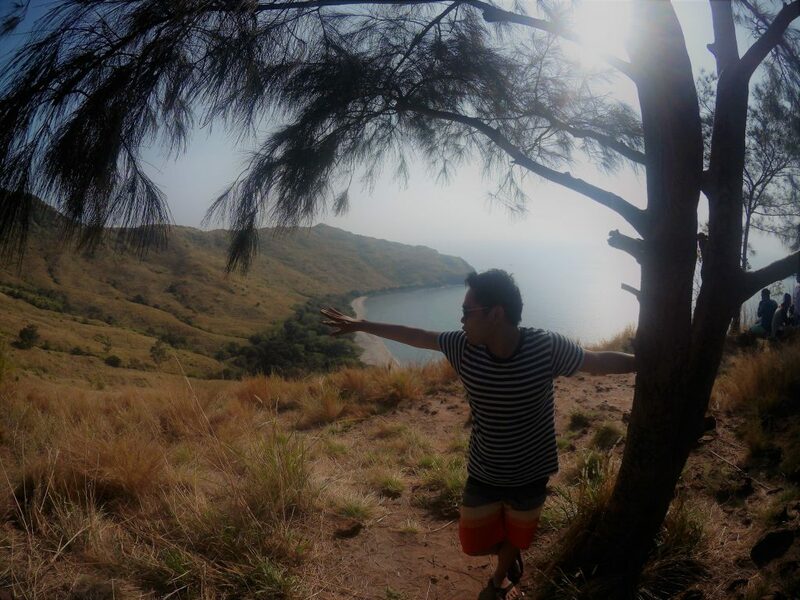 My hiking ability (If I have it) was tested when we tried to climb a hill. Well, I’m not climbing that hill if it did not guarantee a scenic view of the cove anyway. In the end, it’s all worth it! But, I just can’t figure out how one of my office mate did the climbing part three times. Yes, three times! She really has strong legs, does she? 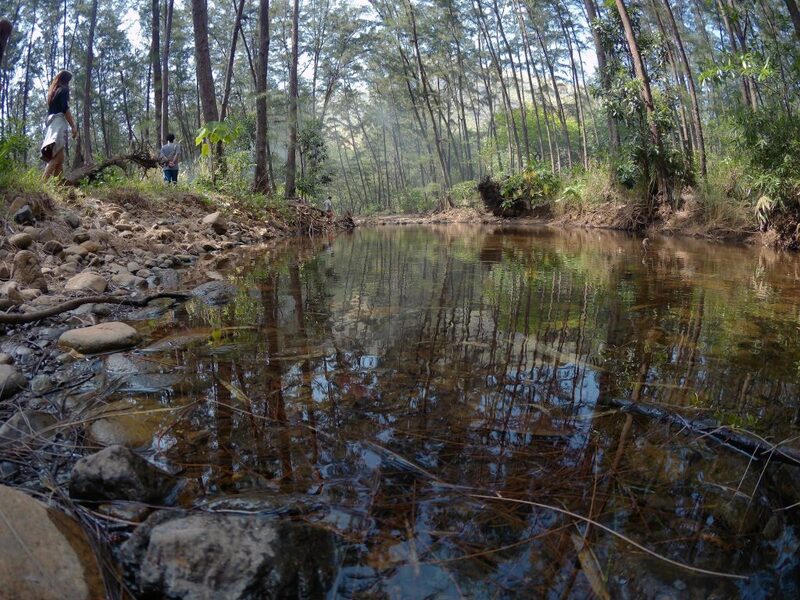 There is also a river that somewhat divided the area in two parts. It added a unique and calm feeling when I saw it. I was not able to go the river closely, however. During the first day, we spent our time roaming round and trying not to submerge our feet on a very deep sand in the shore. It was too deep for me that I can’t even walk straight on some parts! Haha. Hello and thumbs up from the above (the hill)! And now, for a family portrait. I mean, group photo. I will form something with these pristine waters. Sand here is a bit darker in color but still with a fine texture. Now, let us talk about expenses deeper and how you can successfully make this trip! Total Cost: Php 3,350 or just around Php 1,700/person. That depends on your food choices, but having a budget of P2,000 per person is more than enough. Make it lower by inviting friends! 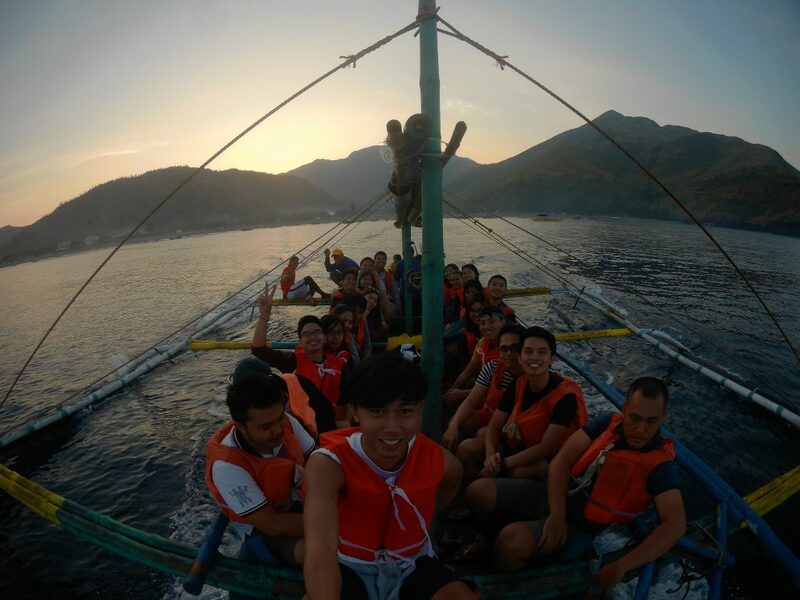 The boat rental above is quoted for 1-4 pax capacity. For 10 pax and above, boat rental rates will start at P2,000. 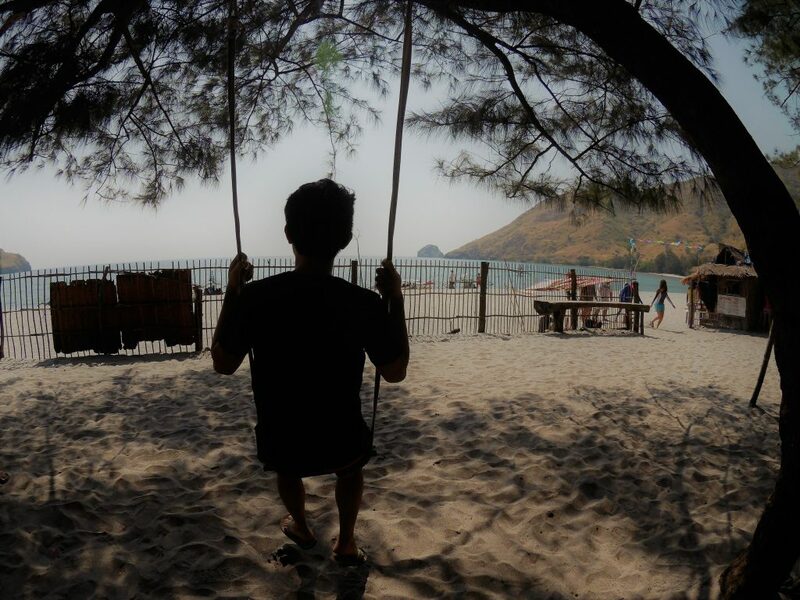 Imagine spending most of your time with this beautiful scenery. As we are dealing to have an affordable way to get to Anawangin Cove, the best option is to utilize public transportation. Ride a bus bound for Iba, Zambales. Victory Liner have many trips for this route coming from Cubao, Caloocan and Pasay bus terminals. The trip will be around 4 hours. Just tell the conductor that you will get-off to San Antonio Public Market. From the public market, ride a tricycle going to Pundaquit, and you will be on the drop off point in 15 minutes. In Pundaquit, rent a boat depending on the size of your group. The rate starts at Php 1,000 (good for 1-4 pax). The rate will vary depending in your itinerary. 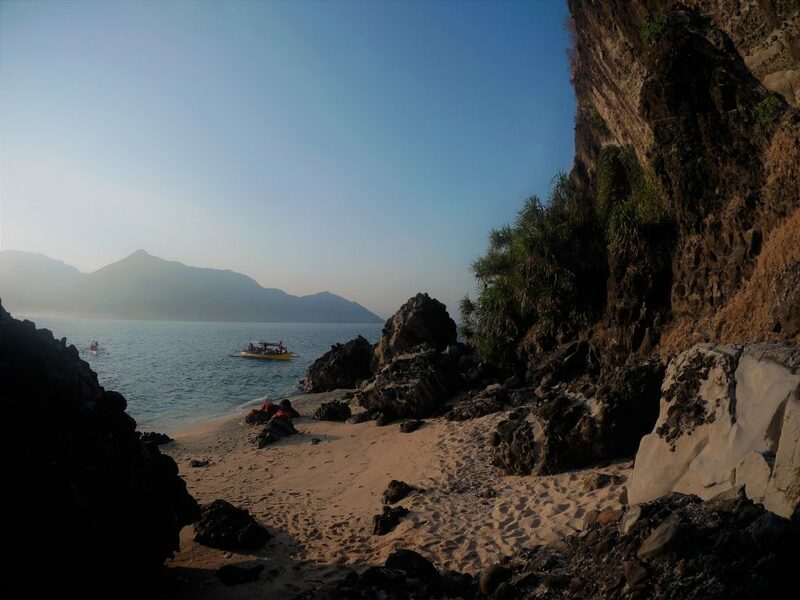 If you want to take the same path like us having a side trip island hopping to Camara Island, add 200 pesos per boat or 300 (for Capones Island). As of writing Capones Island will be costly side trip option due to an imposed entrance fee of 350/person (day pass). Plan your itinerary ahead of time. 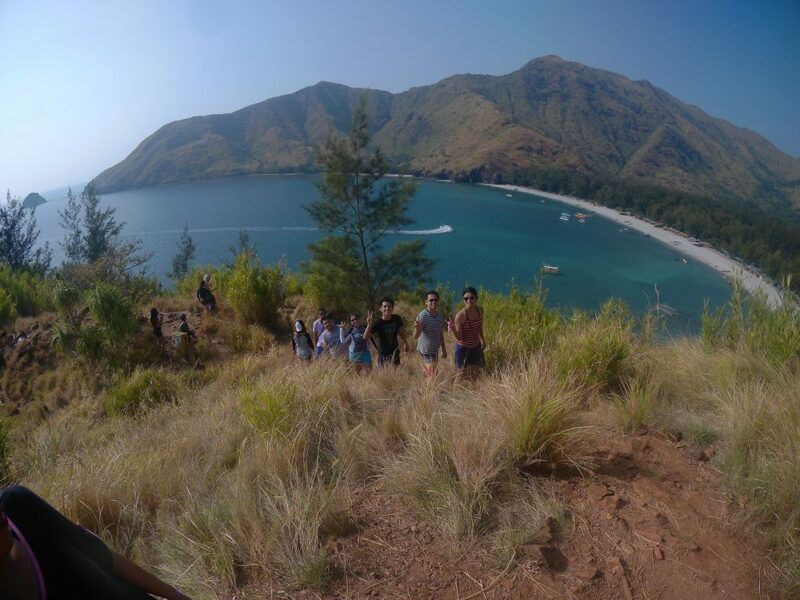 If you will be coming in a group of about 10-12 pax, I greatly suggest that you just get a travel package from an agency for a seamless mode of transportation and to save more money. This a bit different from what we usually do in our travels (as we tend to do DIY) but for this trip, going into a package is the most cost-effective choice. 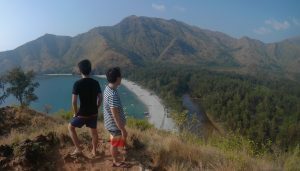 Another low cost but tiring option is to trek to Anawangin Cove! This will last for around 5 hours. 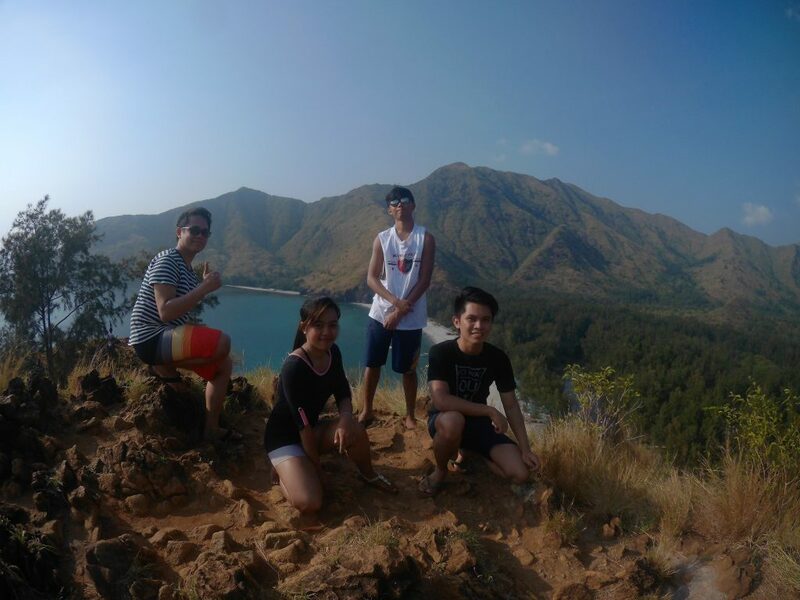 If you are adventurous and ready to endure a good hike, this is for you. A different angle, but with Raz now posing for his best shot. 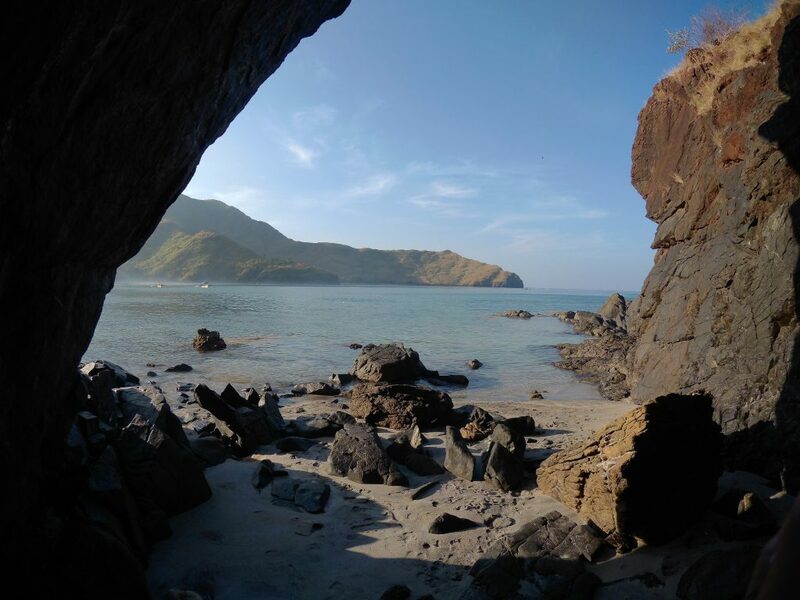 Below is a sample itinerary for a 2 days and 1 night camp in Anawangin Cove. 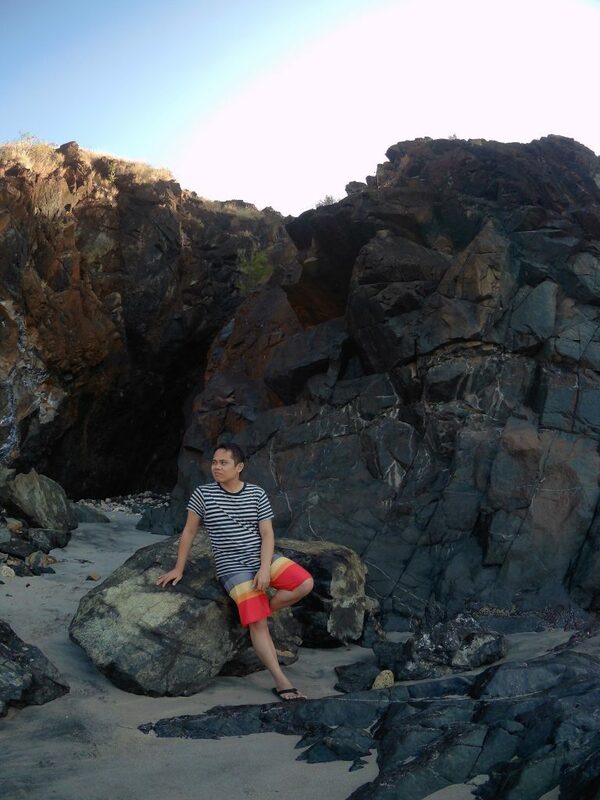 There is no electricity and cellular signals in Anawangin Cove. Be ready to get temporarily disconnected from your family, friends, and the world. During our camp time, there is already some led lights especially in the shower/comfort room area. This is just battery/generator operated though. Bring flashlights or any lighting gadget, and optional, a power bank. Bring your own food and drinking water, if you will not avail a package from an agency. Or just buy in San Antonio and cook it for yourselves in the camp. Cooking utensils are also available for rent. Bring your pillow/s and sheets, depends on you on how you prefer to be comfortable. For us, having a sheet and our bag as our pillow is enough. Prepare your sunblock and mosquito repellent as well. We are going into a camping vacation and we should be energized and refreshed when we come home, not sick! Also, bring all the toiletries you need. There are stores that sell toiletries and some food as well but prices will make you think twice. This thing is very important. Do not leave any trace of you except your foot steps. Do not leave your garbage, dispose them properly. Last but not the least, do not forget to bring a camera whether it is a DSLR, action camera or a smartphone. You WILL capture lots of photos here! I believe that tree is supposed to be a bonsai one. I have this impression that staying here for 2 days and 1 night isn’t enough (Technically, only 1 1/2 days and 1 night). But, we need to go back home as there is work waiting for us the next day. 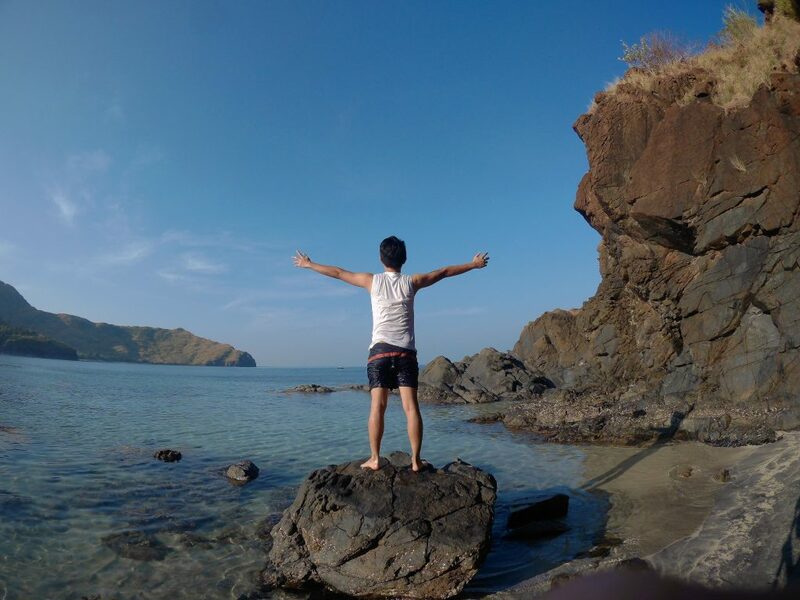 Till next time, Anawangin Cove! You truly captivated me. A family picture of the gang before riding the big big boat. So imagine how we can manage a large group if we went all by ourselves. That will be tiring. In case you are wondering what deal we got from Metrodeal, here it is. Deals from this website always vary. The link might become inactive when you visit. If so, search and look for the service from MJDC.